These essays are an utter delight. Laurie Colwin doesn't write--she speaks to you like an old friend, leaning against the kitchen counter, coffee cup in hand. 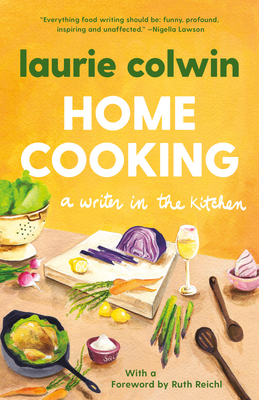 Laurie Colwin is the author of five novels—Happy All the Time; Family Happiness; Goodbye Without Leaving; A Big Storm Knocked It Over; and Shine On, Bright and Dangerous Object—three collections of short stories—Passion and Affect; The Lone Pilgrim; and Another Marvelous Thing—and two collections of essays, Home Cooking and More Home Cooking. Colwin died in 1992.